The United States Department of Agriculture has announced that it wants to withdraw a rule that would have improved animal welfare for organic laying hens. The rule is supported by many small organic farmers, the National Organic Standards Board, animal welfare groups, and consumers. 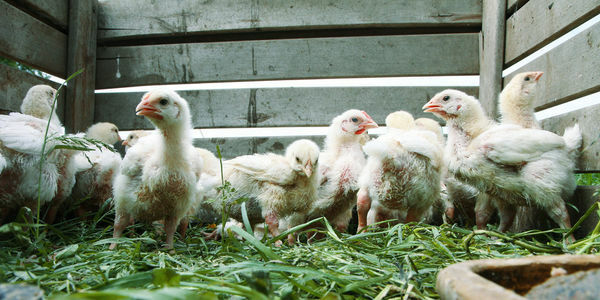 Tell the USDA: Organic consumers want humane eggs! The rule, developed over the course of the Obama Administration, clarifies rules on "access to the outdoors," to confirm that a roofed structure without true access to dirt and the outdoors doesn't count. It also banned debeaking and other cruel "physical alterations," set out stocking standards to limit overcrowding, set rules for transport, and added language on how organic hens should be handled. The USDA says this is "undue burden" that goes beyond the scope of its mission. Organic consumers disagree: Organic eggs should come from happy hens, not those being tortured in the name of industrial agriculture!